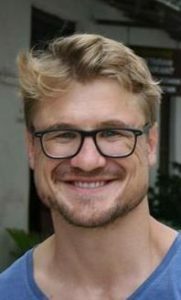 The Commonwealth Scholarship Commission in the United Kingdom (CSC) and Taylor & Francis Group are delighted to announce that the winner of the 2017 Taylor & Francis Best Journal Article Prize is Dr Erasmus J Petrus Cilliers, for his article, ‘Reconciling after civil conflict increases social capital but decreases individual well-being‘, published in Science in 2016. Erasmus is a 2011 Commonwealth Scholar from South Africa, who undertook his DPhil in Economics at the University of Oxford. His article focuses on the truth and reconciliation efforts implemented by a Sierra Leonean non-governmental organisation, Fambul Tok, to restore social cohesion in Sierra Leone. The 2017 competition received over 60 entries from current and former Commonwealth Scholars. The winner was chosen by a panel of experts drawn from multidisciplinary backgrounds, including Professor Brian Faragher (Chair in Medical Statistics at the Liverpool School of Tropical Medicine) and Professor Jonathan Wastling (Pro-Vice Chancellor and Dean of Natural Sciences at Keele University). This year, judges and Taylor & Francis have awarded three entrants for submitting highly commended articles. They will each receive Taylor & Francis book vouchers worth £150. 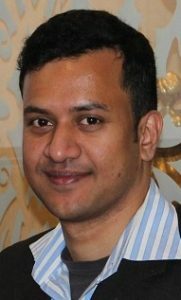 Mosabber Uddin Ahmed (2008 Scholar from Bangladesh, PhD Signal Processing, Imperial College London) for his article ‘A Multivariate Multiscale Entropy Algorithm with Application to Uterine EMG Complexity Analysis‘, published in Entropy in 2017. 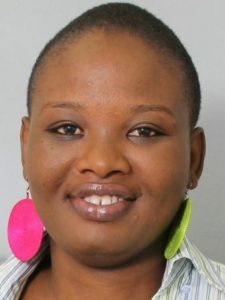 Melissa Chola Kapulu (2009 Scholar from Zambia, DPhil Immunology, University of Oxford) for her article ‘Comparative assessment of transmission-blocking vaccine candidates against Plasmodium falciparum‘, published in Scientific Reports in 2015. 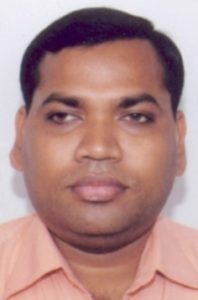 Niroj Kumar Mohalik (2010 Scholar from India, PhD Environmental Engineering, University of Nottingham) for his article ‘Estimation of greenhouse gas emissions from spontaneous combustion/fire of coal in opencast mines – Indian context‘, published in Carbon Management in 2016. The Taylor & Francis Commonwealth Scholar Best Journal Article Prize is awarded to a Commonwealth Scholar who submits the most outstanding article published in a recognised peer-reviewed journal. This annual prize, first awarded in 2012, aims to encourage and reward the publication achievements of Commonwealth Scholars who are completing or have recently completed their doctoral studies.